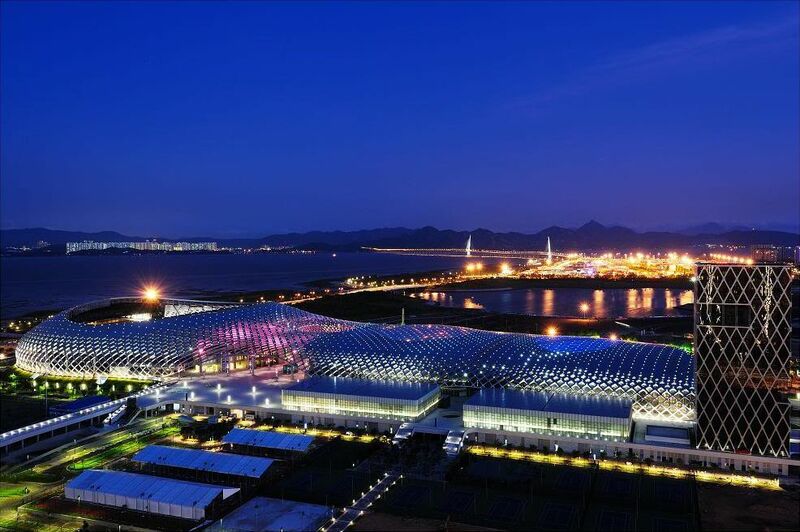 International design competition was held in early 2008 and preparatory work began already in November the same year. 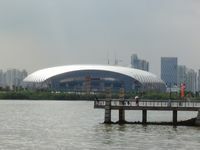 Actual construction work saw foundations laid in February 2009 and by mid-2011 the complex was ready, in time for the 2011 Universiade held in Shenzhen. 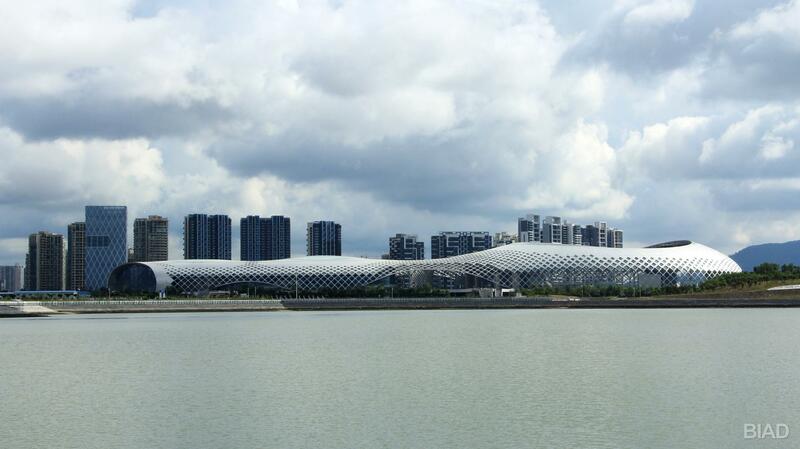 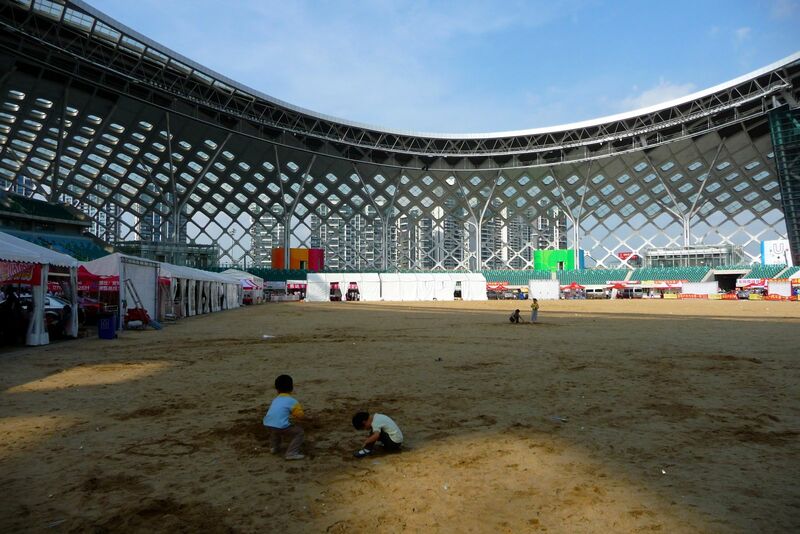 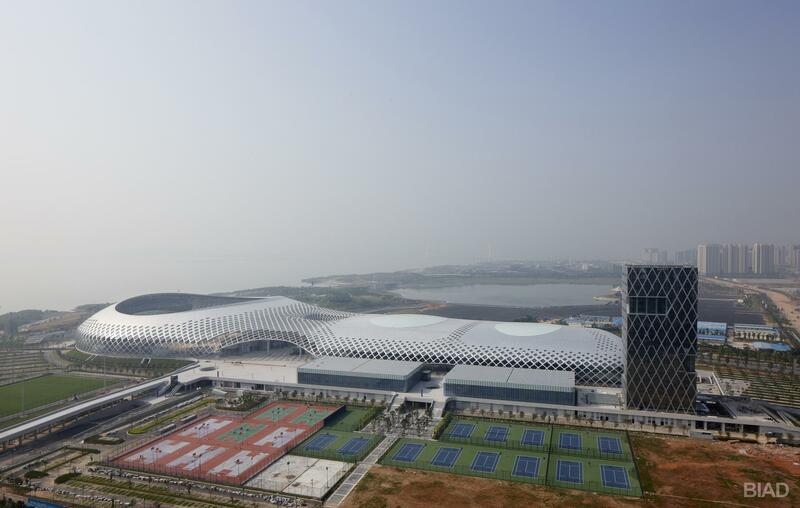 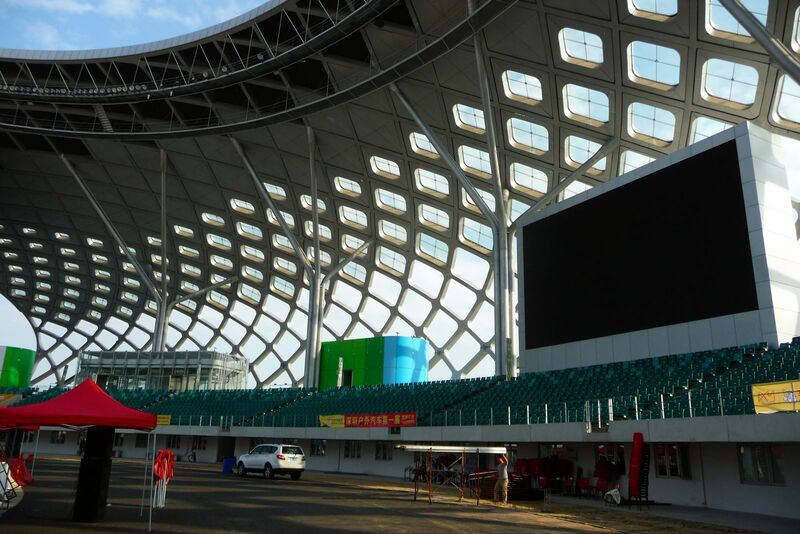 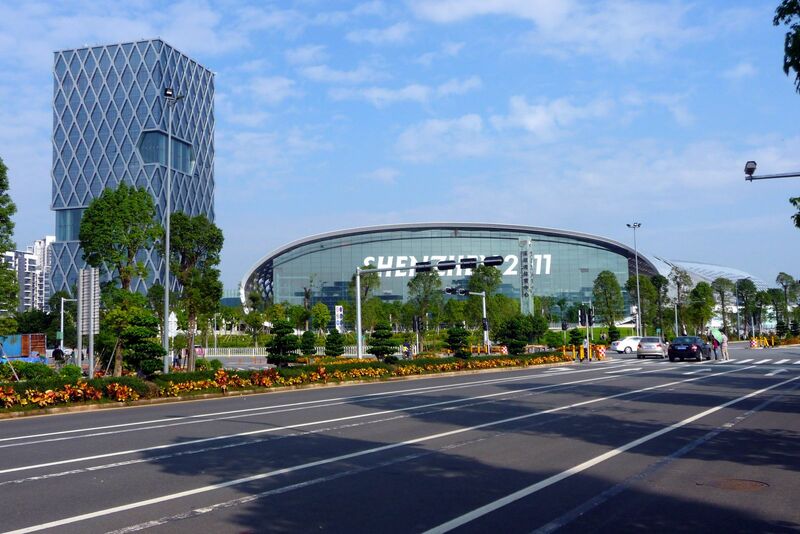 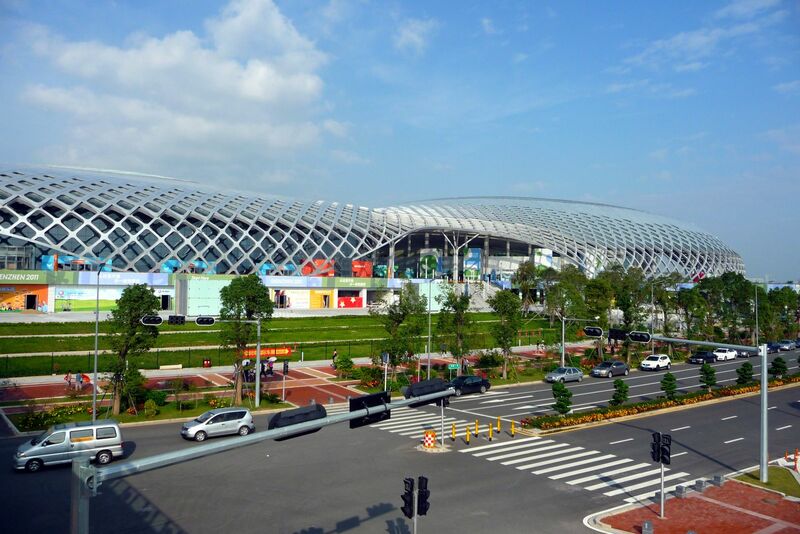 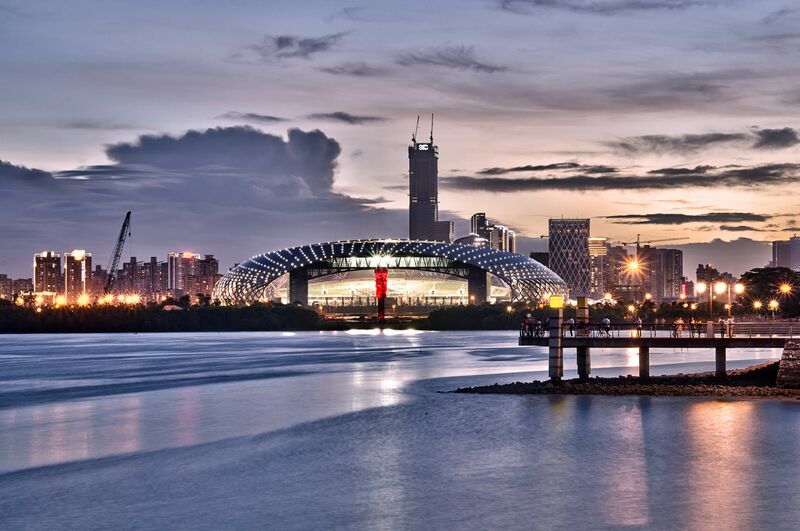 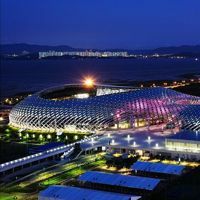 With a complete budget of $2.3 billion Shenzhen received a new extensive sporting complex in its western part, by the waters of the Shenzhen Bay. 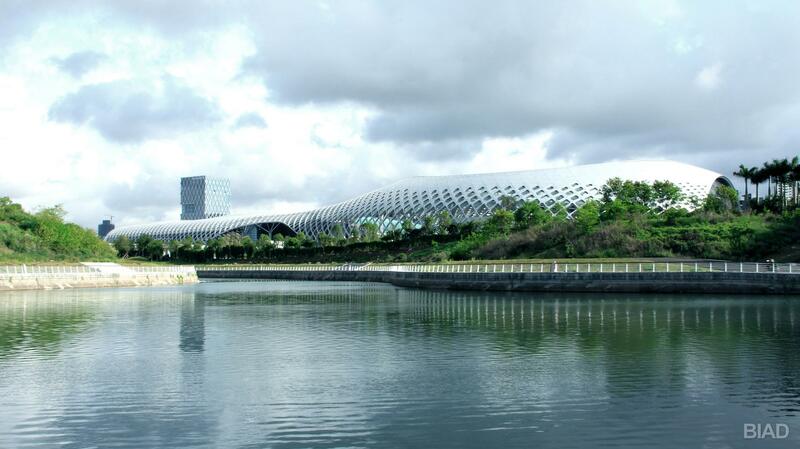 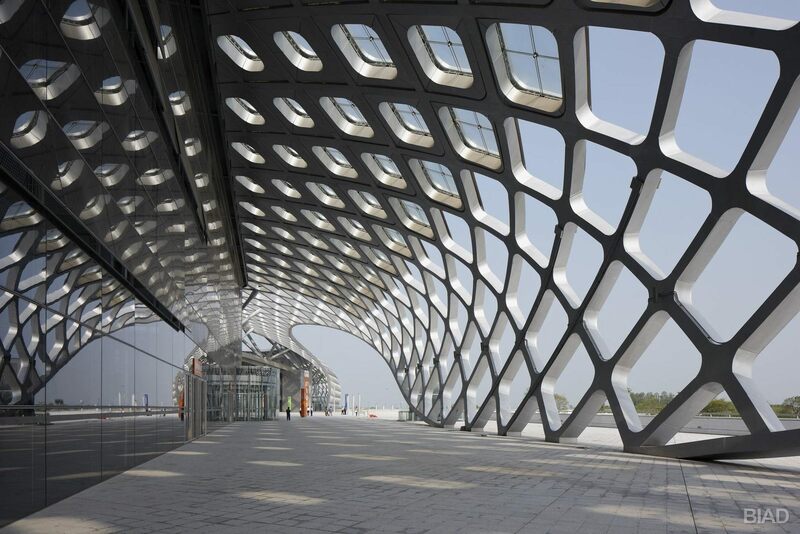 Main building consists of three arenas conjoined with external steel skin, largely perforated. 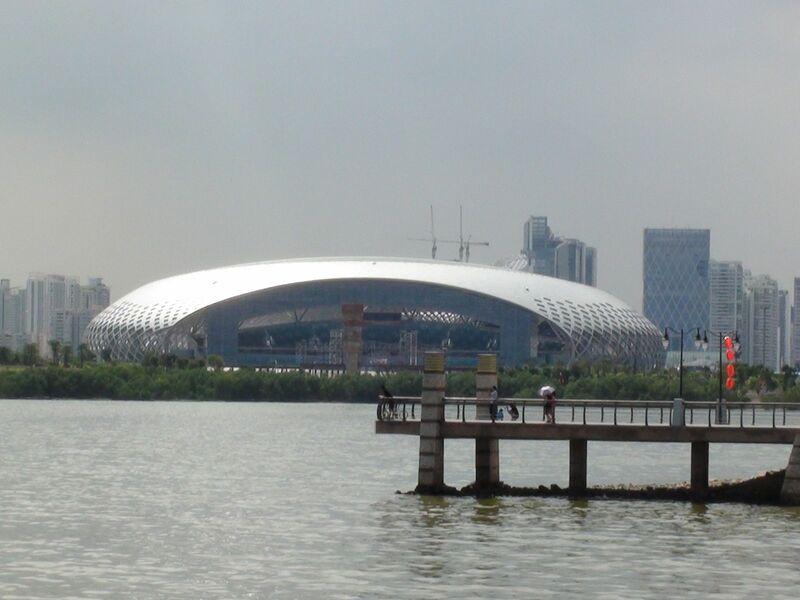 The snake-alike building runs from the West to the East, consisting of an office tower, swimming pool, indoor arena (13,000 capacity) and multi-sue stadium (20,000 seats). 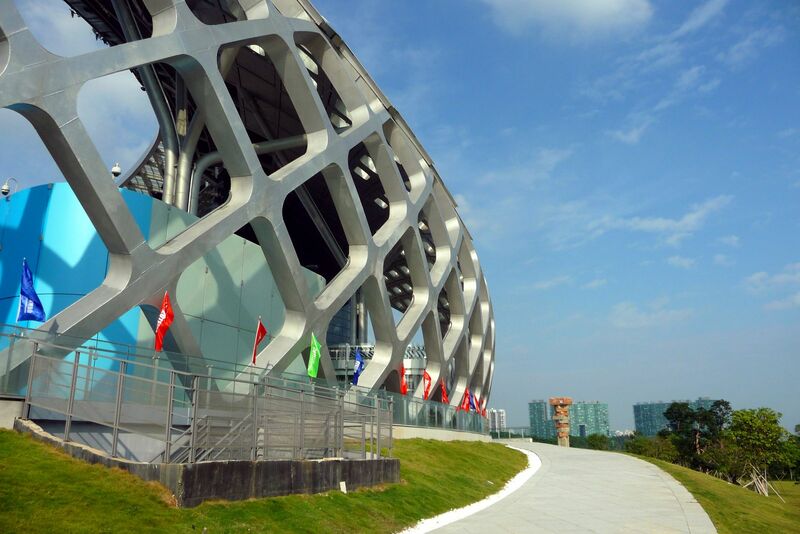 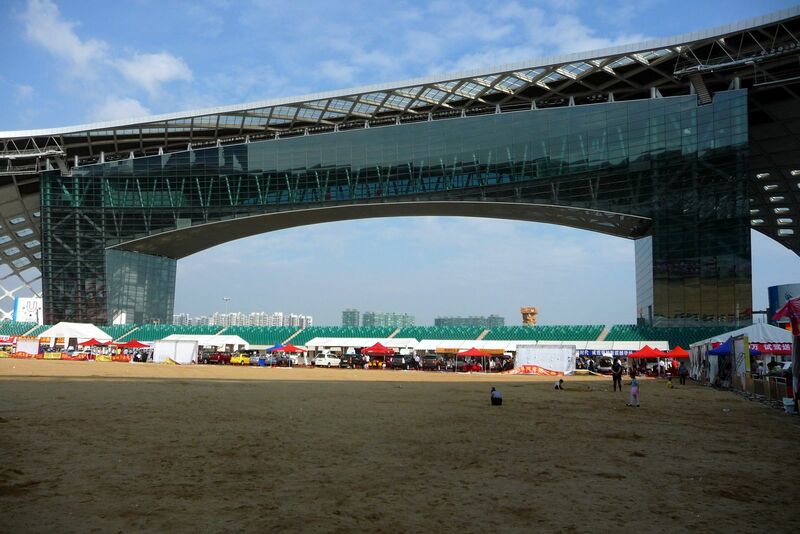 The latter ends the center with a wide gate that allows most spectators not only enjoy the events inside, but also the view of Shenzhen Bay. 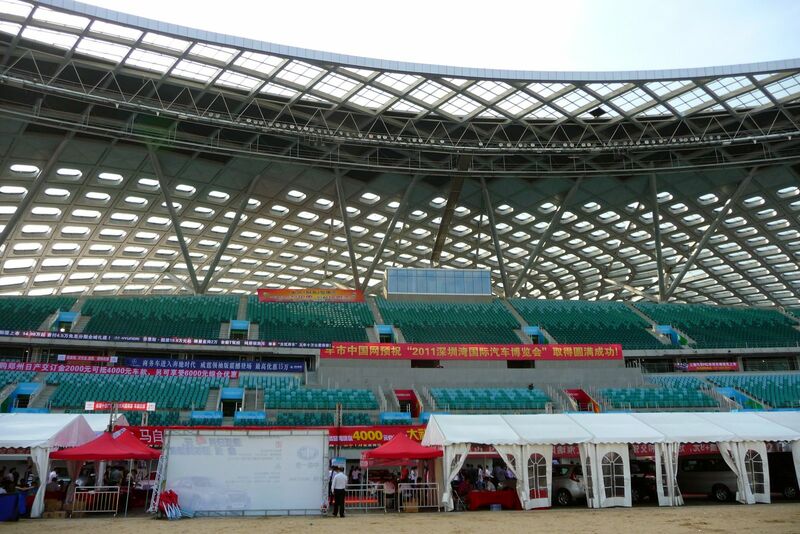 For those wanting a better look there is also a viewing terrace atop the east stand. 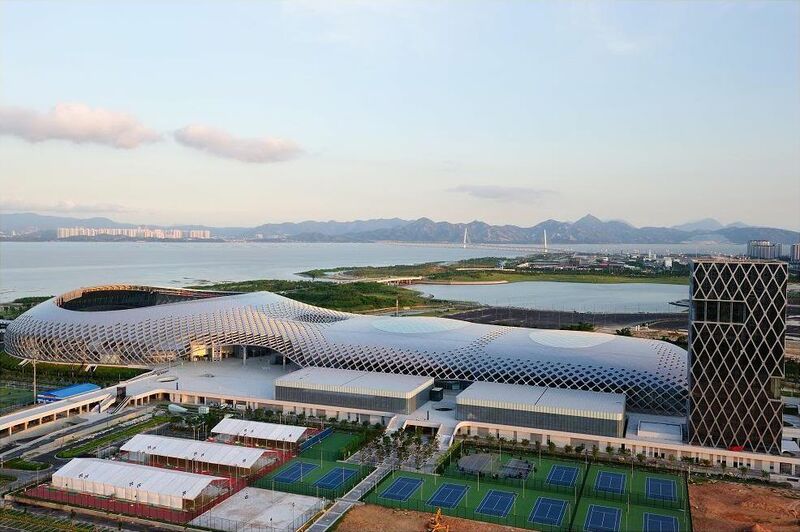 Apart from the main building complex there are also surrounding sports facilities, like a full-size training pitch for football and a large set of tennis courts.